Want to be part of the Nikon community? Just Sign up and register yourself and get hold of all the latest updates and features and make the most of it!!! 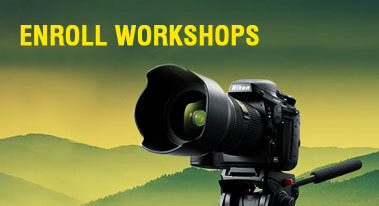 ** Workshop Discount Validation **Discount valid only for Nikon D-SLR/Nikon 1 camera imported & marketed by Nikon India Private Ltd.
Are you a Nikon D-SLR/Mirrorless/Nikon 1 camera user? I have bought the Nikon D-SLR/Mirrorless/Nikon 1 camera marketed by Nikon India.